CYP seeks to empower Y​oung Jewish Professionals by connecting them with each other and their heritage through business, educational and social networking opportunities. 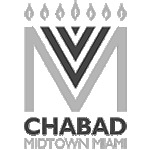 The Chabad Young Jewish Professionals of Midtown​ is a non-profit 501c3 organization founded with a vision to create a community in which Jewish professionals ​and entrepreneurs ​can support and stimulate each other's careers while building a stronger connection to their heritage and enhancing their awareness of issues that impact the Jewish community. Our young men and women will provide the bold ideas and resources to forge a prosperous, empowered future for the Jewish people and the global community.